Arthur A. Levine Books, 9780439623346, 32pp. 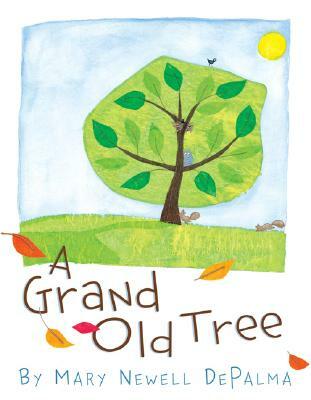 Once there was a grand old tree, whose roots sank deep into the earth and whose arms reached high into the sky. Every spring the grand old tree flowered and bore cherries for the squirrels and birds that made their homes in her leafy branches. And every year, seeds from the tree scattered in the wind, along with many millions of leaves. Mary Newell DePalma creates an emotional tale of life and renewal, of nature's bounty and quiet balance, illustrated with simple images made powerful with vivid colors and moving compositions. Mary Newell DePalma is an author and illustrator of children’s books. Before Mary was a children's book author and illustrator, she knitted designer sweaters, interpreted for the deaf, and painted signs. Some of her hobbies include gardening, knitting, reading, and, of course, drawing! She has illustrated MY CHAIR, A GRAND OLD TREE, and THE NUTCRACKER DOLL for Arthur A. Levine Books. Mary lives in Boston with her husband and two children.